Carry your memories with you on your iPhone 6 or 6 PLUS case. 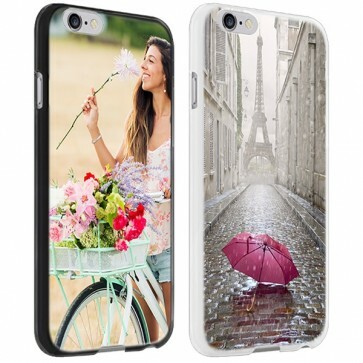 Our personalised phone cases offer your phone great protection. Choose from 3 colours: black, white or transparent. 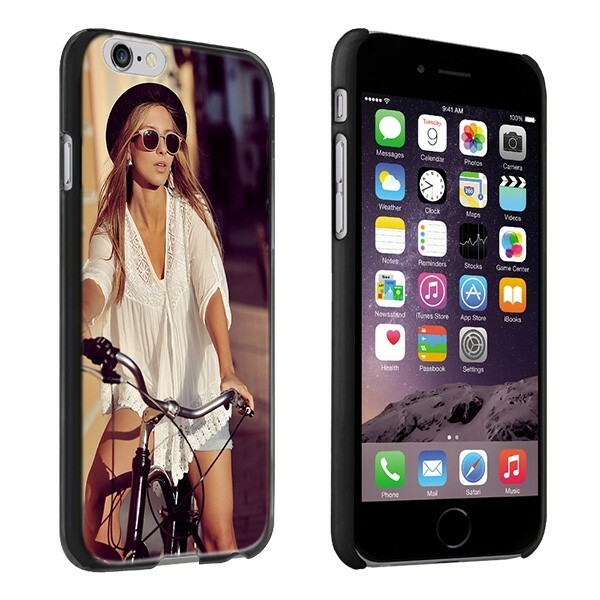 Designing your own iPhone 6 or 6S Plus hard case is quick and easy. First select the base colour you wish to use. This is the colour which will be visible on the edges of your case. Use one of your favourite images, patterns, logos or pre-made designs and upload them straight to the design module. You can upload image files straight from your computer, tablet or smartphone. In addtion, you can upload images straight from Facebook and Instagram using our social media module. Add text as a finishing touch. There are plenty of fonts and colours to choose from. When will I receive me phone case? Our average delivery time is 5-7 working days. We ensure that your case is shipped within 24 hours of purchase. You don't have to stay home to receive your phone case. All our packages fit right in your mail box. Even if you have ordered multiple phone cases, dont worry.